Knitted shawl with knitted lace edging *Marcy* . 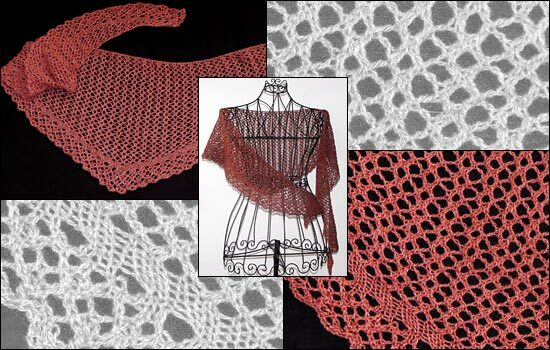 The shawl features an airy allover lace pattern and is finished with an easy edging. The shawl is worked from the neckline downwards and shaped with short rows.